It’s coming to the end of my Whole30 and I wanted to update you all on how I went. I can honestly say that I feel better than I have in such a long time. My stomach is so much flatter i.e. not bloated, I don’t feel the constant need to exercise off overeating episodes, and in general I feel happier, without the guilt of overeating. And I’ve been able to bake so many sweets without having a single lick or bite. Not. One. Single. Bite. 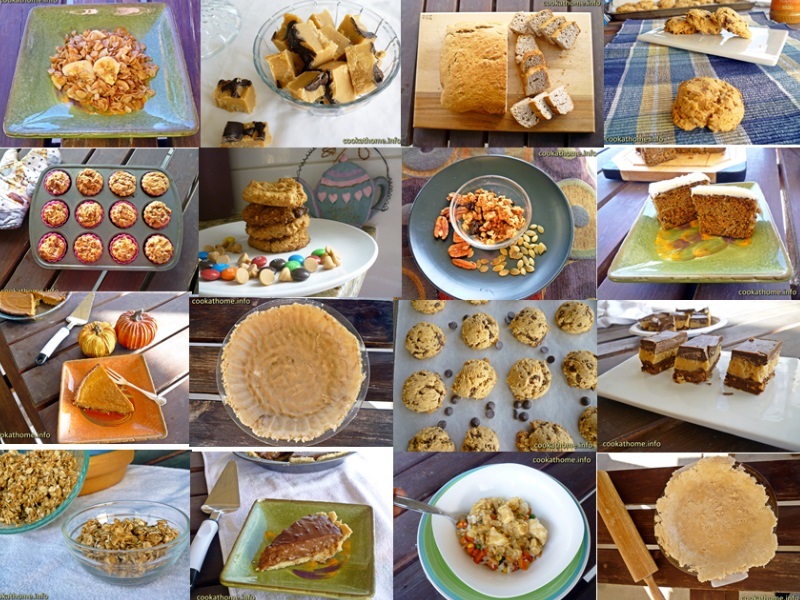 This photo is a collage of all the goodies I have made this month … including things like my favorite monster cookies, peanut butter fudge, my ultimate chocolate peanut butter slice, carrot cake and granola. Lots of granola. The granola was meant for Abby when she realized how much better she could be eating but she didn’t really stick with it that much. I’m still working on her though! Mind you, a lot of the time I baked with full gluten and full dairy so I knew I would suffer some pretty terrible pains if I did give in, but I still made a few things that technically I could have eaten. And I didn’t! I’m so proud of myself! I’m still being challenged with how much to eat at each meal. Over the past week or so I’be been really hungry. And I feel like I’ve been eating way more than previously. The recommendation is to just have 3 meals a day but to snack on a combination of protein, fat and/or carbs if hungry. I’ve been trying to avoid snacking, but I’ve given in a few times. People have told me it can take 4-6 weeks without the sugar and grainy carbs for your body to use the fat and protein for energy instead so I’m waiting for that to kick in. I havent weighed myself, or measured myself all month but I’m pretty sure I have lost some weight and inches at least. And I haven’t missed peanut butter or sugar at all. To be honest, I am a little scared of how I’ll go next month and whether I’ll gradually slide back into my old habits, but the funny thing is, the first non-whole30 compliant food I’m thinking of having is green peas in a soup or casserole. Not sweets or peanut butter. How weird is that? Anyway, just thought you guys could celebrate with me … counting down the days but will probably continue eating this way the majority of the time and only splurging on the non-compliant foods when it’s really worth it. It will be interesting to see how my body copes with legumes and grains again … wish me luck! Thanks for reading and for following me on the journey. I look forward to posting many more new recipes across the gamut of all things gluten and dairy free in the coming months! Until next time, enjoy cooking at home! You’ve been a super motivating to me, especially with my recent surgery. I’ve shared your post with my daughter in law who has a gluten intolerant daughter. It’s been an inspiration to them as well. Thanks Janet – your kind words make me feel all warm and fuzzy inside! Hope you’re still improving from your surgery! Just do it! You will feel so much better! I’m here for you!